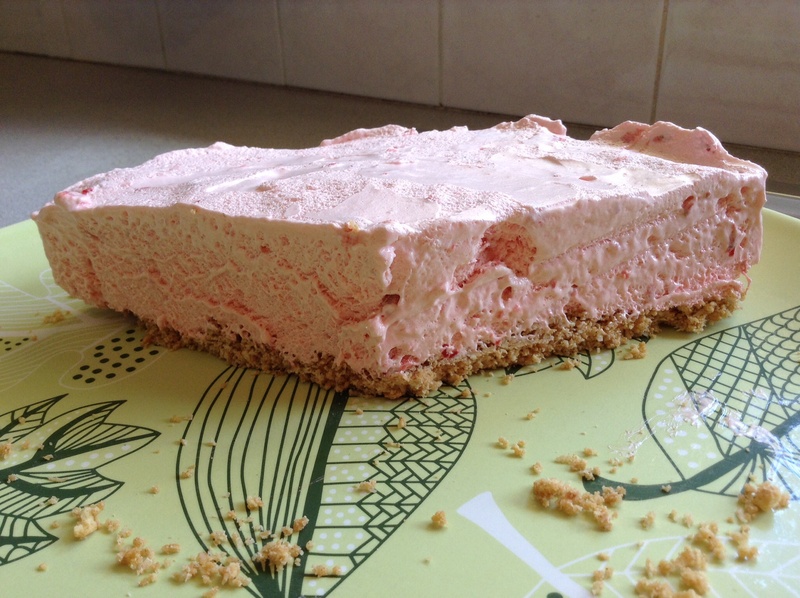 From Annabel Langbein’s “The Free Range Cook” comes this amazing STRAWBERRY CLOUD CAKE recipe. It’s been on my list for ages and I finally made it for dinner last night. It was the perfect dessert to eat on a hot day! Super easy to make with no cooking required and very light. It will serve 10-12 people. Place egg whites, sugar, sliced strawberries, lemon juice and vanilla extract in the clean, dry bowl of an electric mixer. Beat on high speed for about 6-8 minutes until the mixture is very thick and fluffy and the sugar has dissolved. To test whether it is ready, rub a bit of the mixture between your fingers. You should not feel any gritty sugar. If you do, beat a little longer. Spoon the filling over the chilled base, smooth the top, cover with a sheet of baking paper and freeze for at least 4 hours. The cake will keep in an airtight container in the freezer for up to a month. I didn’t have such a big size cake tin, so I used a 24cm spring form tin and used the rest of the mixture to make a smaller cake in a log tin. I could also have made the cake much higher. It makes a “soft” frozen texture of the cake. You could use raspberries or any other berries and I think mango would be beautiful. Annabel Langbein recommends serving the cake with fresh raspberries and a berry syrup. I served it with a seedless raspberry coulis.